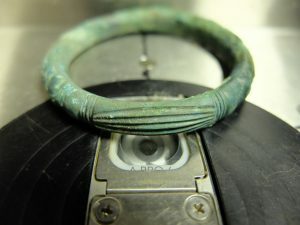 X-ray Fluorescence spectrometry is a non-destructive and inexpensive elemental chemical analysis technique that has grown in popularity as a complimentary analysis technique amongst the archaeological community. It not only allows the semi-quantitative elementary analysis of all types of artefacts, but also sediments, offering the possibility to investigate a range of questions from artefacting sourcing to palaeo-pollution. The elementary analysis of an artefact establishes its chemical profile allowing comparision with similar objects or potential raw material sources. The proportion of the different chemical elements or the presence of specific trace elements are the key to distinguish groups, production centers or source locations. These data allow us to investigate raw material and the economy of artefacts, as well as informing on past technological knowledge. All types of archaeological artefacts can be analysed: lithics, ceramics, metal, glass, etc. Every human activity generates wastes, even microscopic, and results in the pollution of the environment by involuntary integration into past living surfaces. The nature of these wastes vary from an activity to another, with each activity producing a series of chemical fingerprints integrated into the sediments of sites and landscapes. Based on this principle, the geochemical mapping of archaeological surfaces allows us to investigate spatial organisation of settlements and buildings and identify different spaces and their uses: ephemeral partition walls that left no visible archaeological trace can be detected; activity areas related to cooking, stabling, metalworking or storage can be identified and characterized. The list of what can be identified is set to increase in the near future. The method is also ideal to investigate activities occurring outside of buildings and within the wider landscape, in those spaces often empty of visible archaeological features. 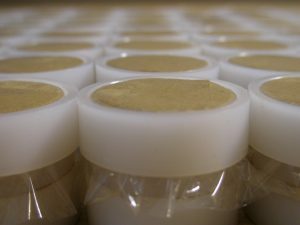 Analyses can be conducted directly on-site or on bulk samples. 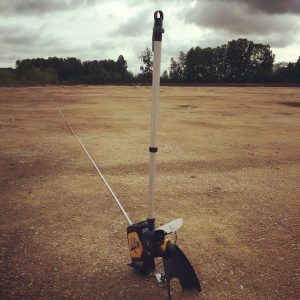 For large projects we recommend on-site measurements as the methodology we have developed is quick, inexpensive and provide immediate feed-back that can be used to modify research questions and excavation methodology.